Friday afternoon, our sweet baby, Steven Chipeta, went to be with the Lord. 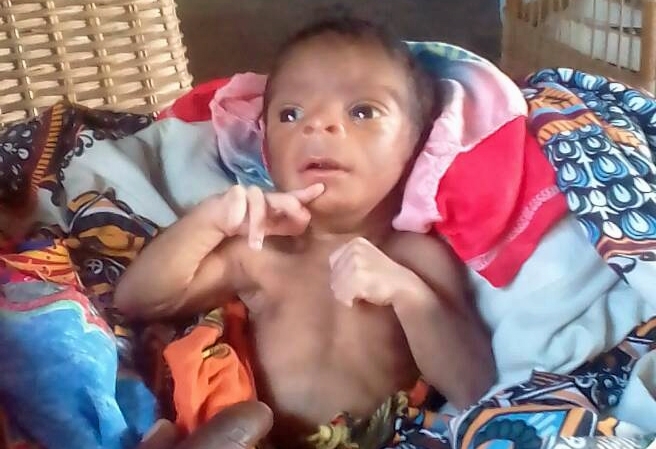 Steven was born prematurely and came to us at three weeks old starving and fighting for his life. Our house mothers, staff, supporters, community, and the Grace Alliance church joined together in a beautiful display of faithfulness and love to lift this sweet boy up to the Lord's throne in prayer for all ten days he was in our care. We cannot help but feel saddened at a precious life lost too soon, but we also see the true beauty of God's family coming together to shine his love. We were blessed with multiple individuals and families stepping up and sponsoring Steven as soon as he came into our family. We are thankful for their response to a need and pleased to announce they have all decided to take their committed annual sponsorship of Steven and dedicate that money to the completion of maternity center. We have been discussing that our children deserve MORE and in the wake of this tragedy we cannot help but continue this thought. The what-ifs and how-comes hit hard when any life is lost; but especially when a child's life ends. We want to DO MORE for our children, God's children. As a community of believers and supporters, let's honor Steven's life with a commitment to MORE. We want to have more resources available for expectant women and premature babies. To do this, we are increasing our fundraising goal for the maternity center to equip our facilities with neonatal care necessities and increasing training and education of our medical staff and MORE. To quote our Board member, Dr. David Smith, "This might not only be a legacy gift...but one that will actually help prevent this from happening. I love ministry that is reactive to brokenness; but I love more pro-active ministry efforts." We have a matching gift challenge and commitment for this week at $1,000 to kick off this legacy of love and prevention! Click below to join in! As parents, we always want to take the hurt from our children. This is simply impossible, but thankfully there is action that CAN be taken! This week we will be talking a lot about answering the call to give towards a future, but for today we simply want to honor the life of a sweet boy whose future is with the Lord and hope that we will be able to do exceedingly MORE for our community in the days/months/ years to come. Posted on December 17, 2017 by Kaitlyn Miller.